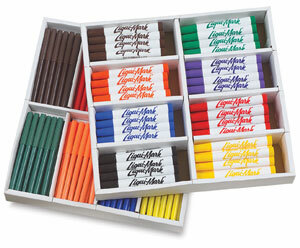 Economical way to supply classroom with colors for every child. 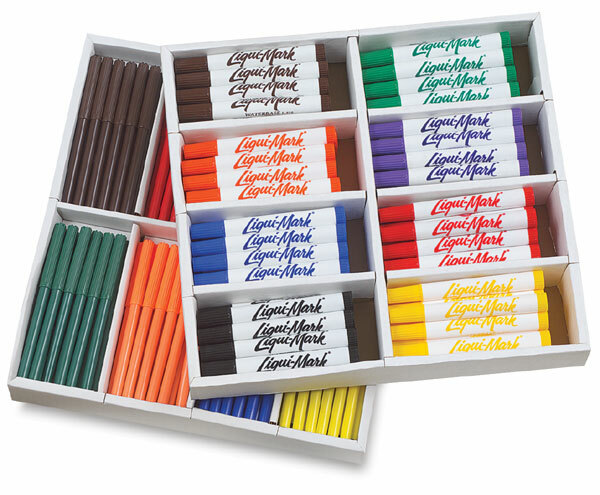 Two packs of 8 colors in sturdy cardboard box, in compartments for easy classroom organiztion. 12 of each of the following colors, both fine and broad points: Red, Blue, Green, Brown, Orange, Purple, Black, and Yellow. 96 markers are fine point, and 96 are broad point. They're packed in a sturdy cardboard box.